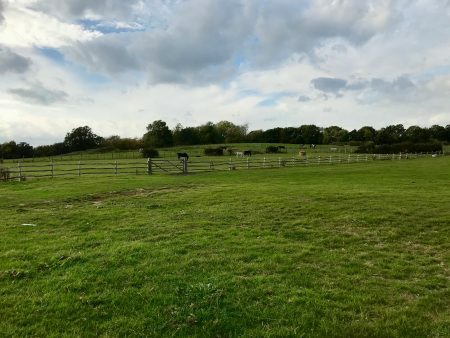 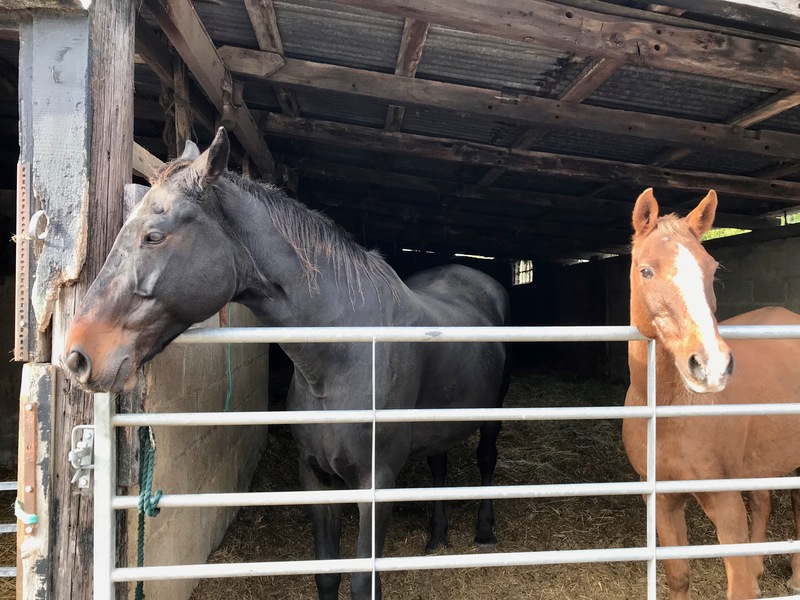 Horsenden Farm offers the best of two glorious worlds for a countryside location. 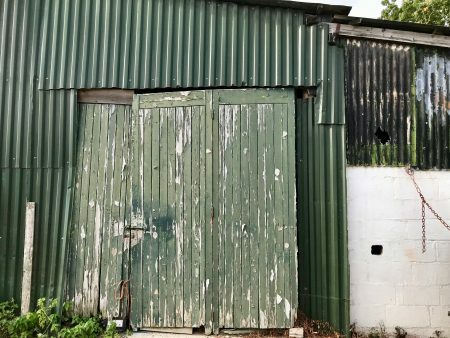 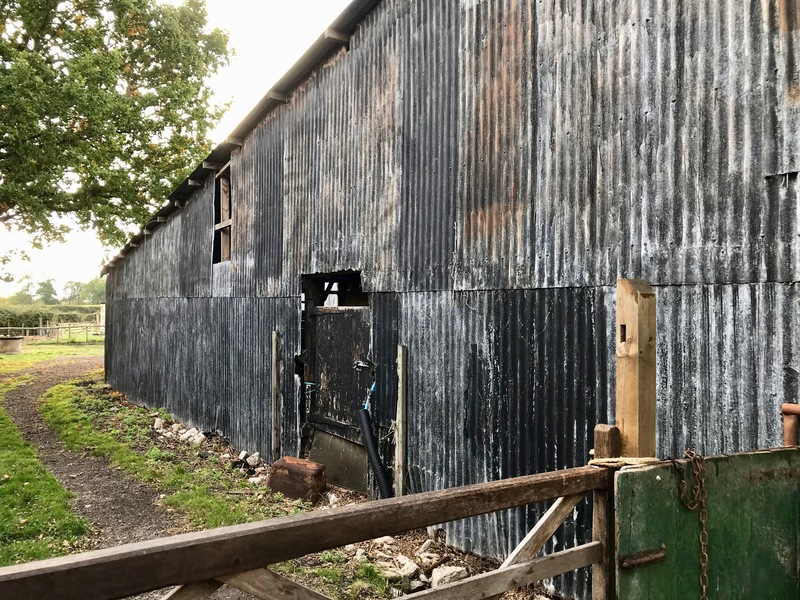 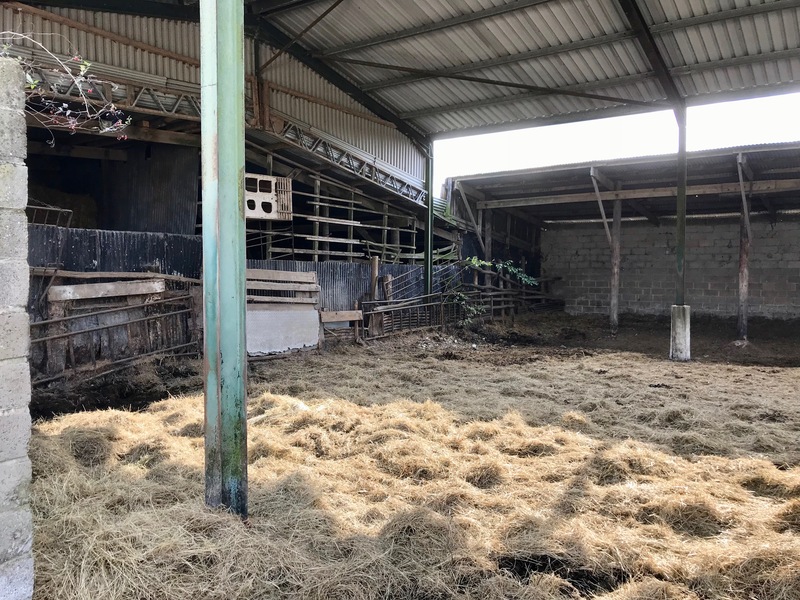 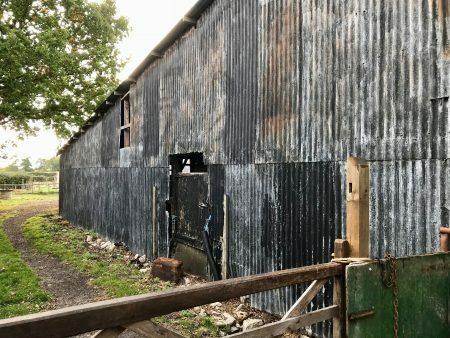 At the heart of the farm, run by the same family for 6 generations, lies the traditional working farm, bursting with rustic bygone charm from its array of ageing farm buildings peppered across the farmyard. 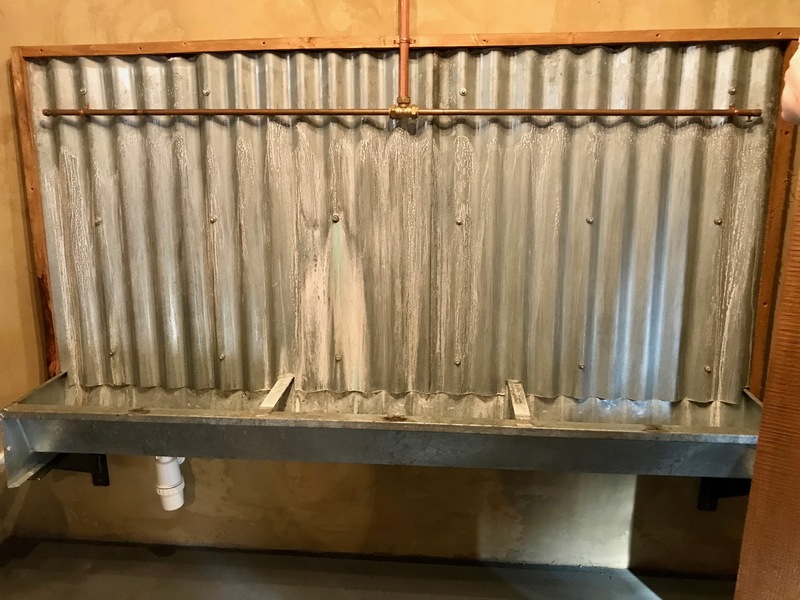 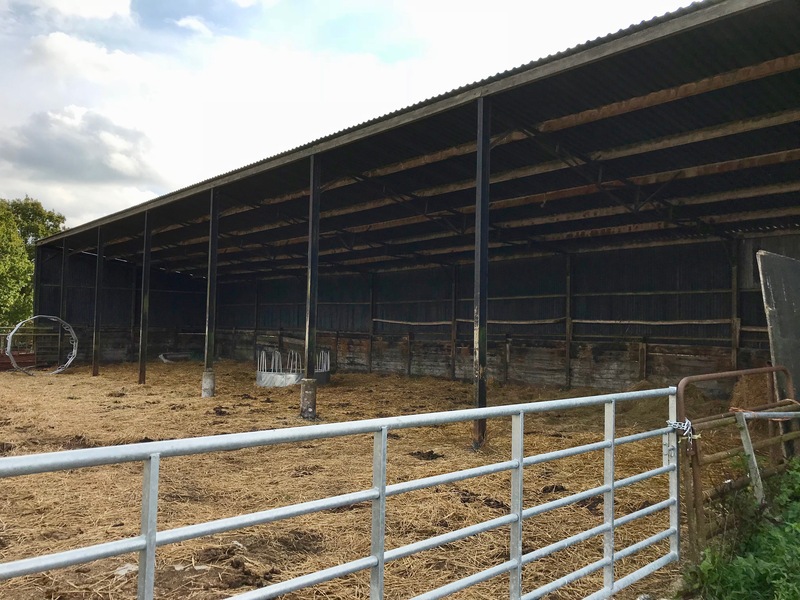 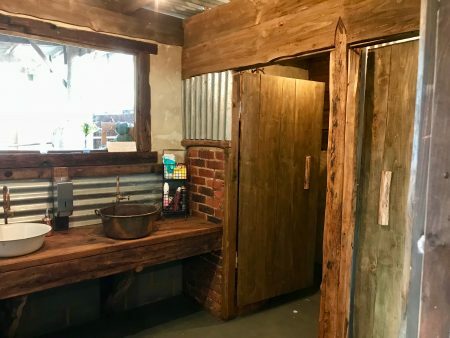 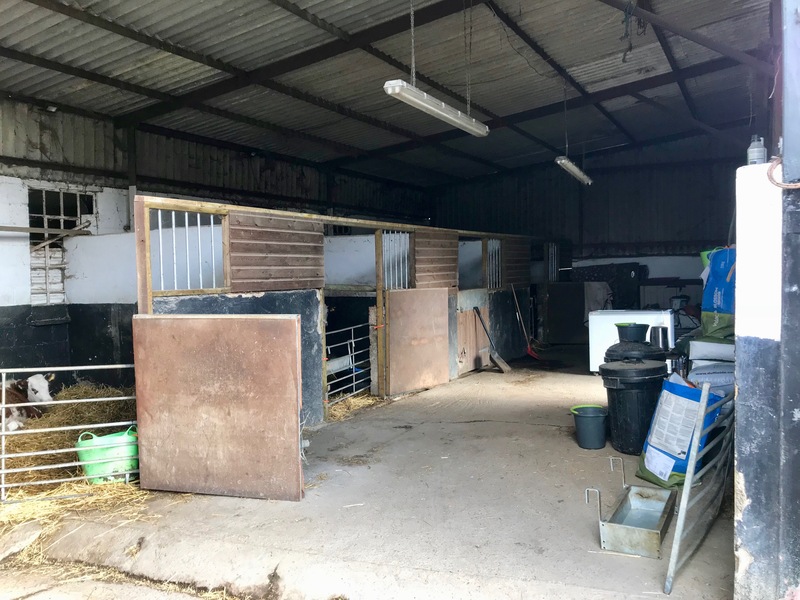 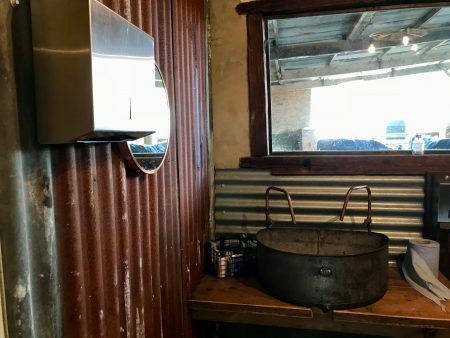 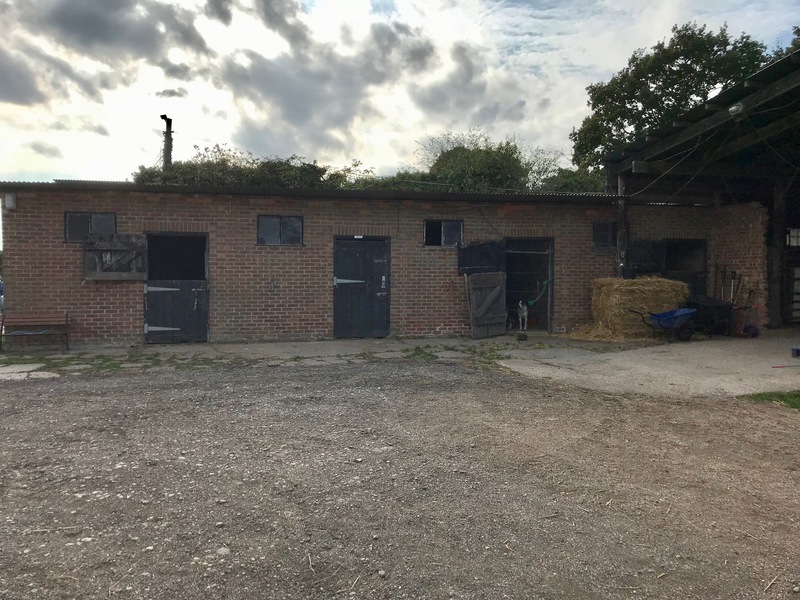 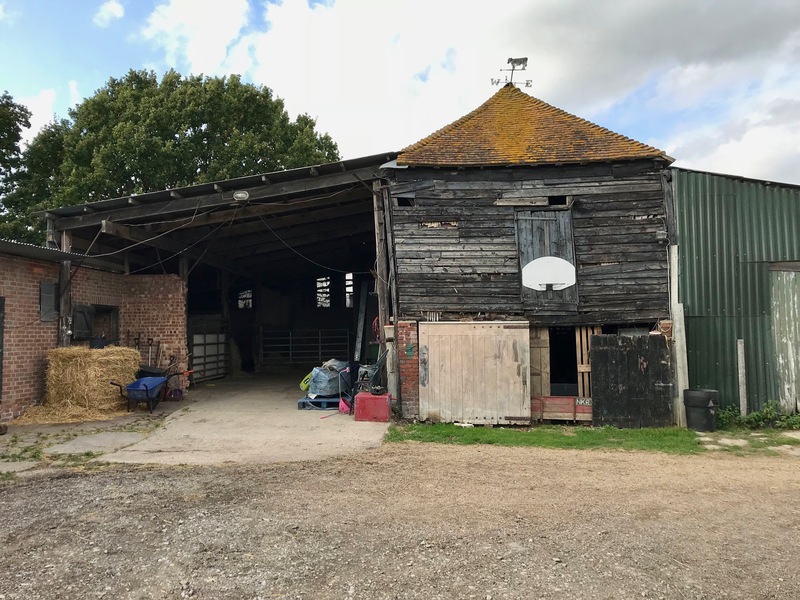 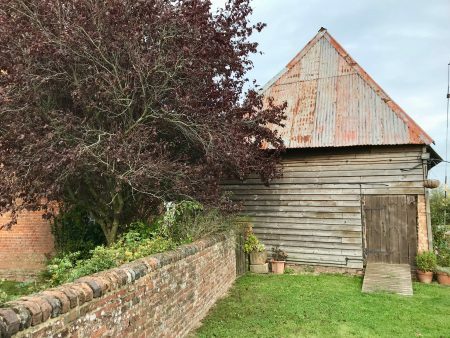 Brick, timber, corrugated tin, the range of buildings on offer is wide, houseing a mix of old and new implements, hay, straw, and farm animals. 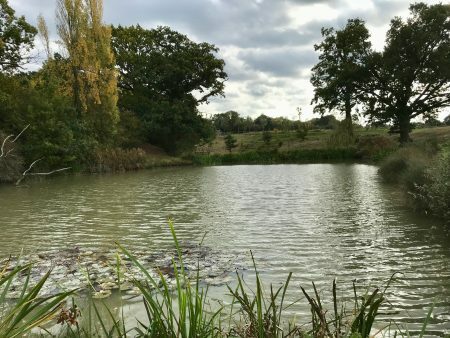 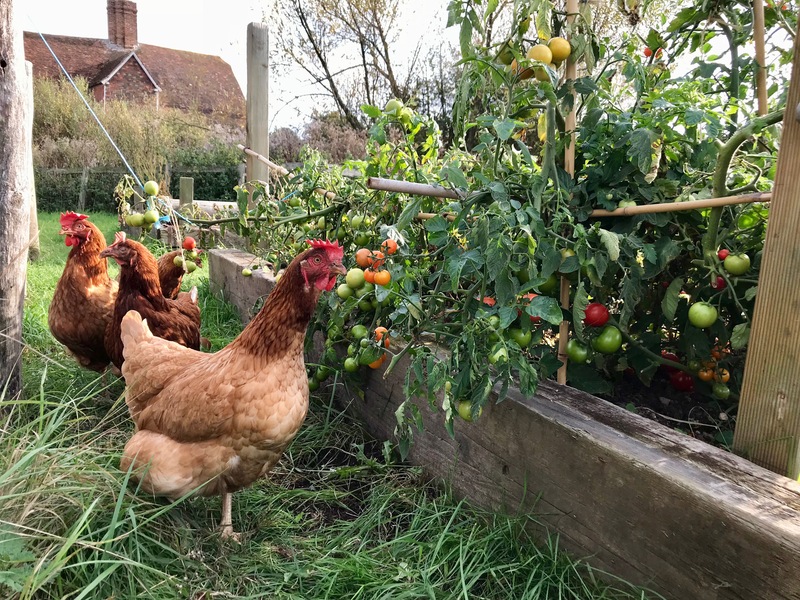 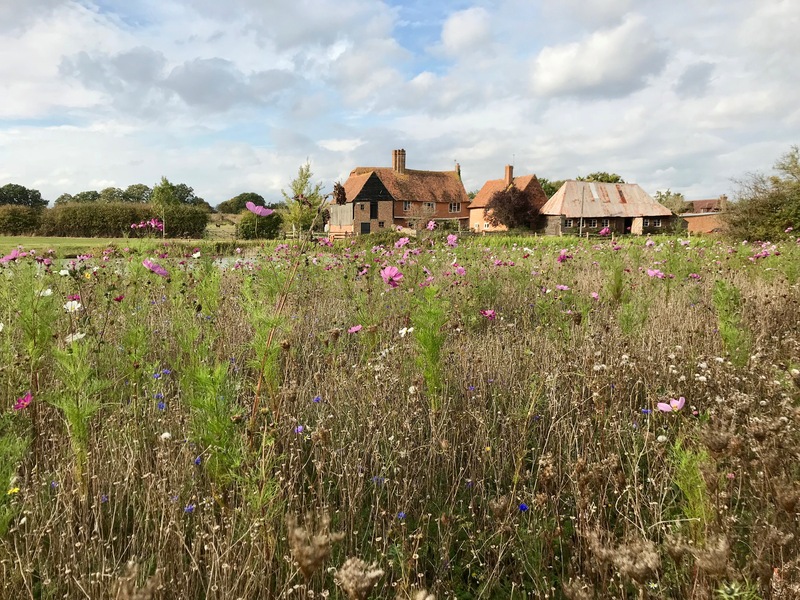 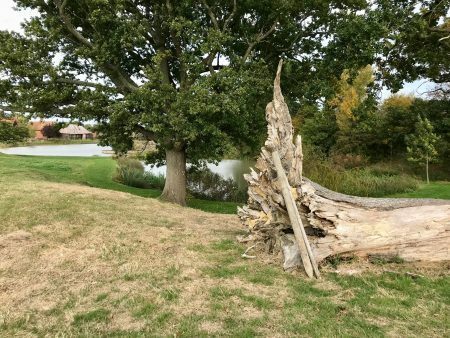 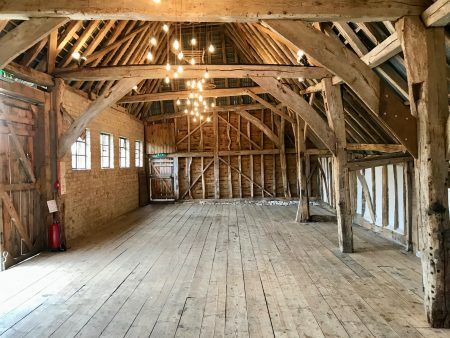 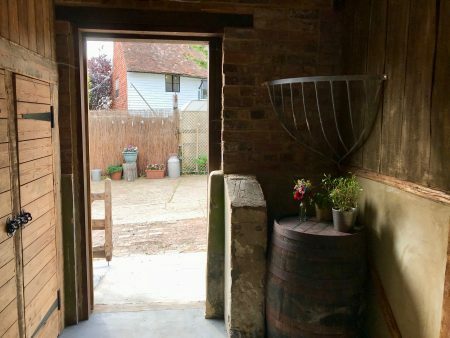 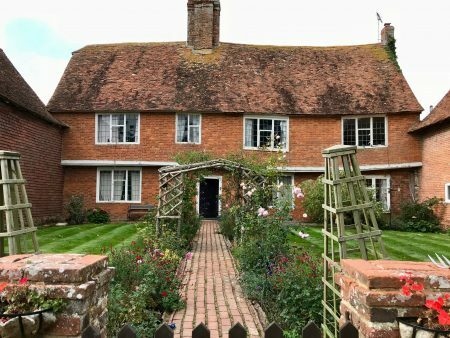 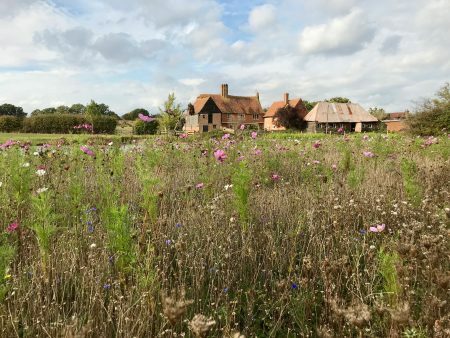 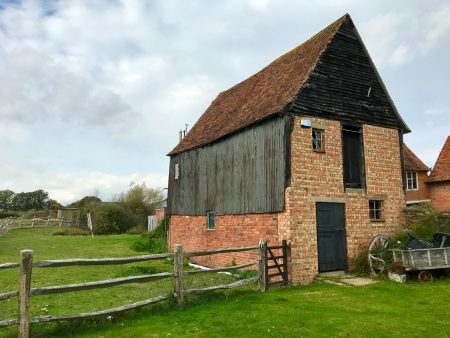 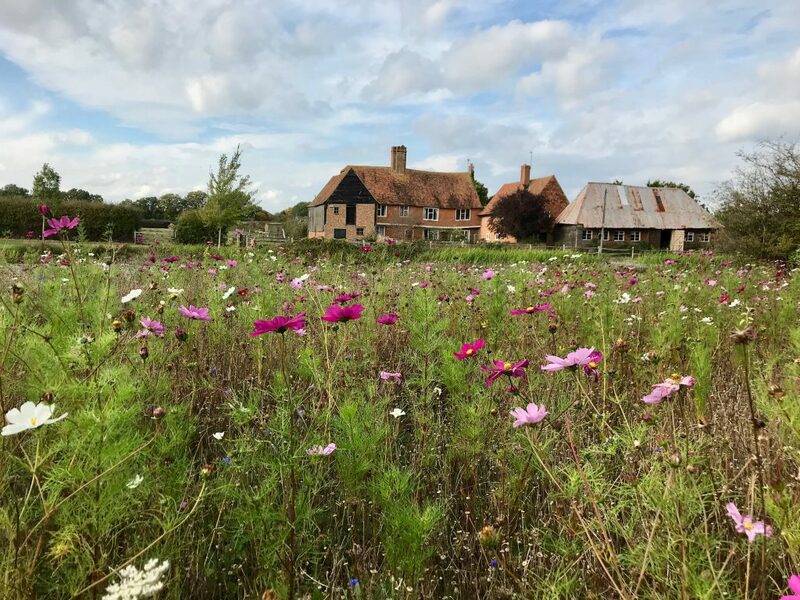 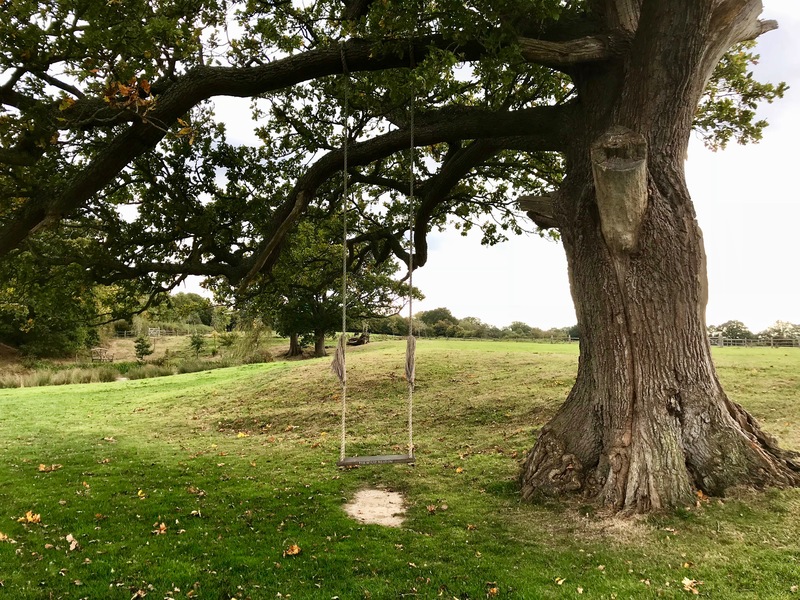 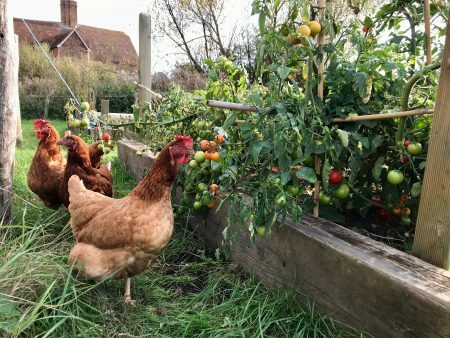 The “second glorious world” stretches out to one side of the farmyard; therein lies the most pretty of natural landscapes where a beautiful restored Kent barn overlooks an idyllic display of ponds, wild flower meadows and rolling fields. 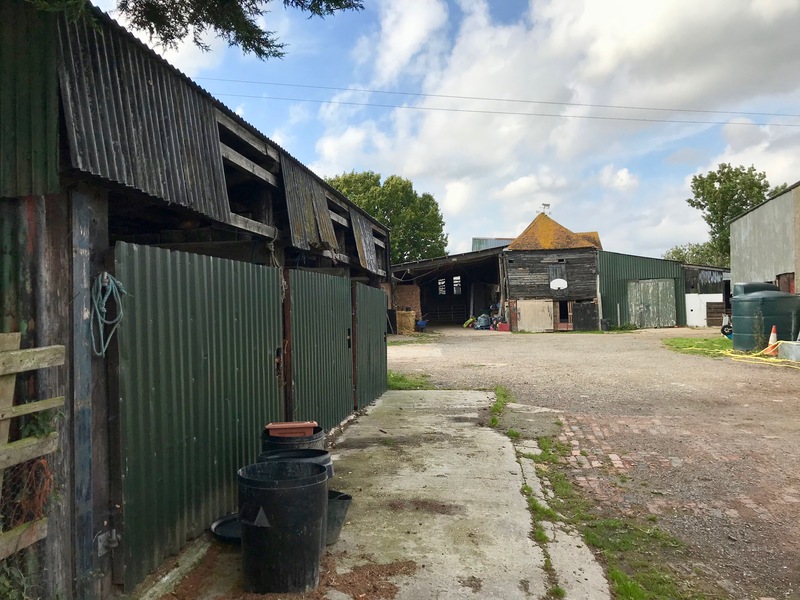 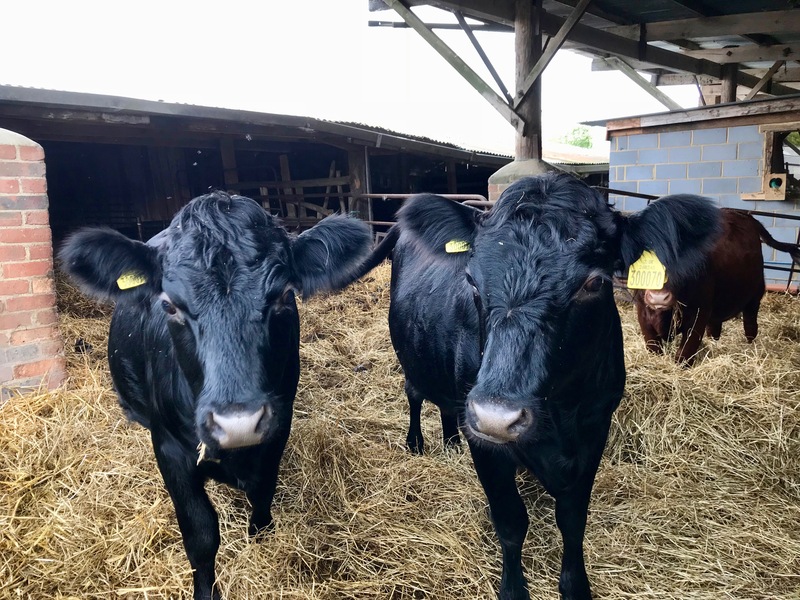 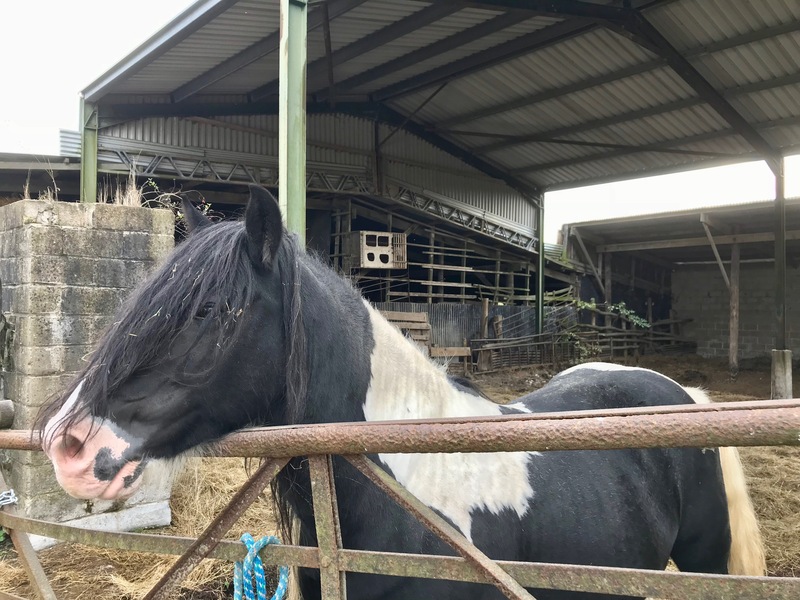 Horsenden Farm is a showcase for what an honest, rural farm location should be. 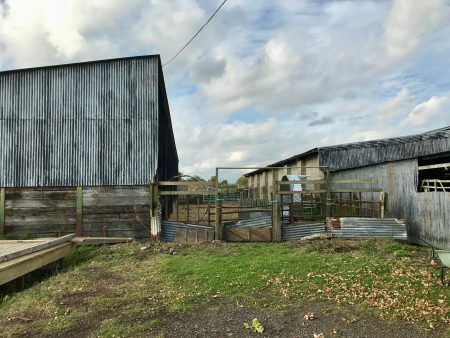 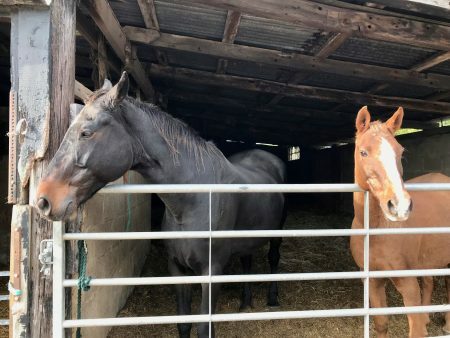 Sheep, cattle and over 30 breeding and retirement horses, left to run naturally. 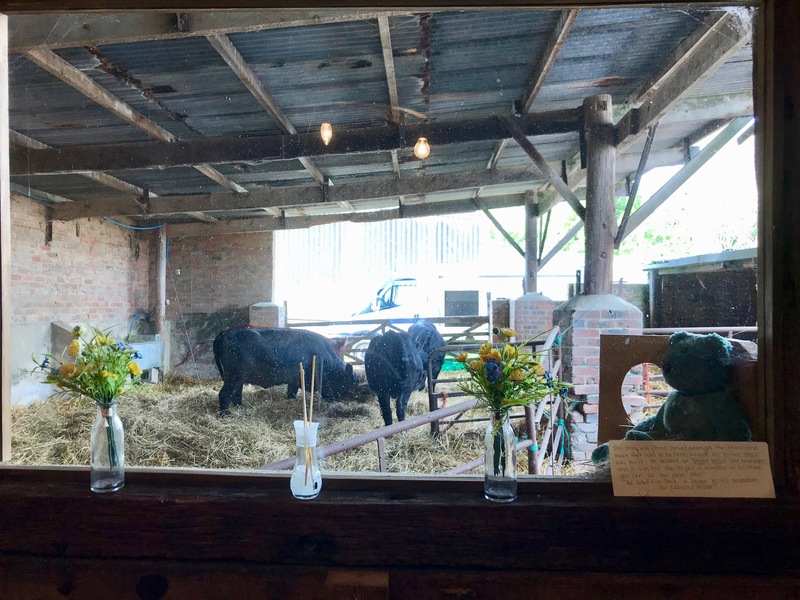 Sheep breed includes the Valais Blacknose sheep – arguably the cutest looking breed and very tame. 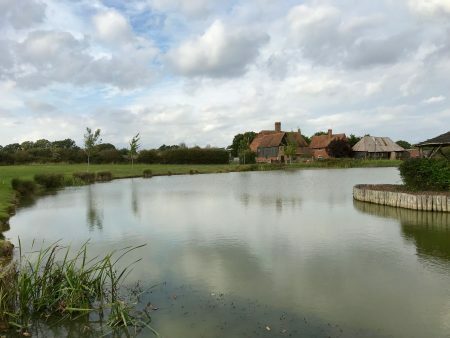 Lakes and ponds surrounded by wild flower meadows and dotted with ancient trees. 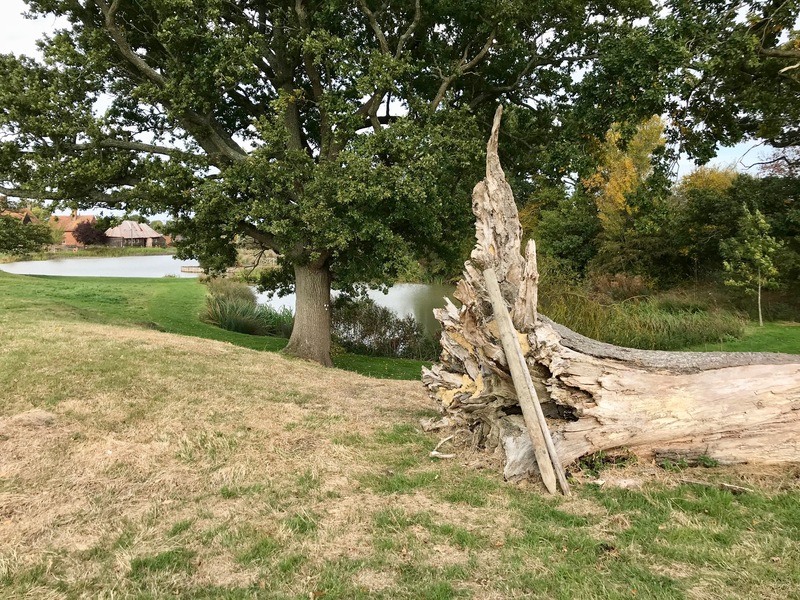 Pontoon and island gazebo on the lake. 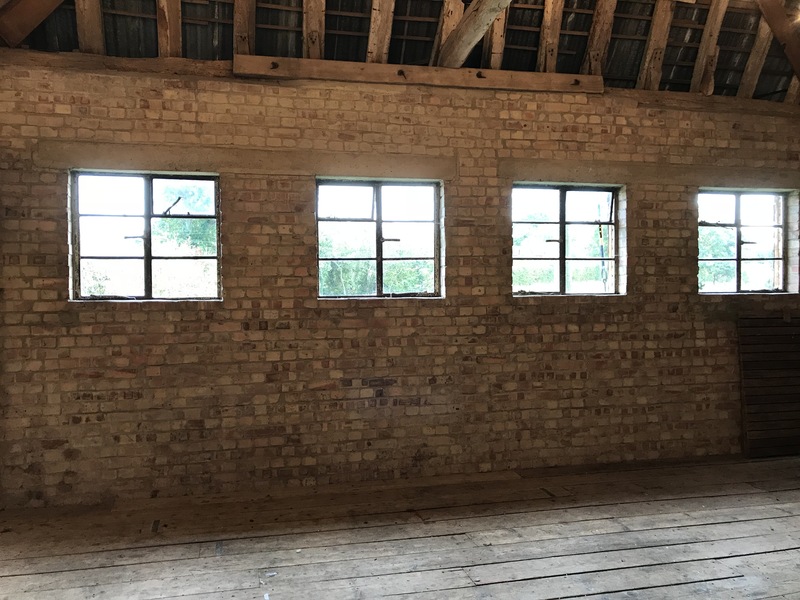 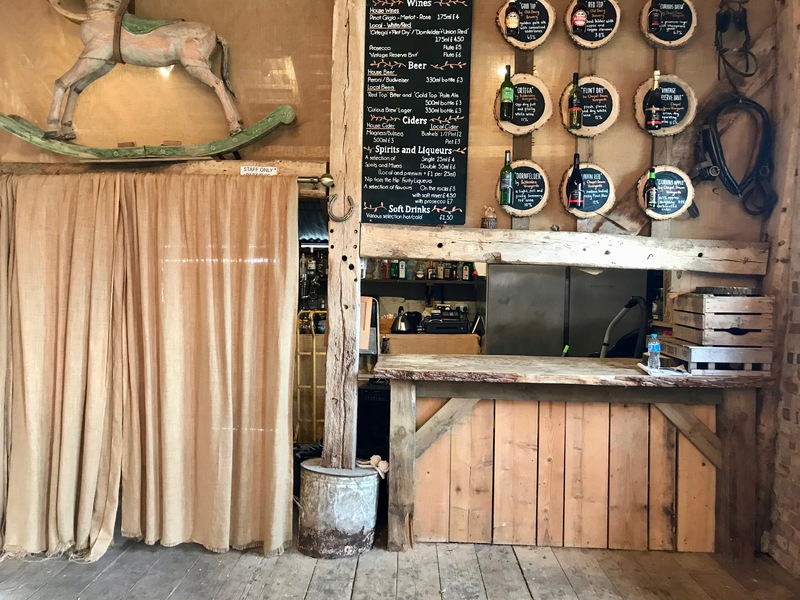 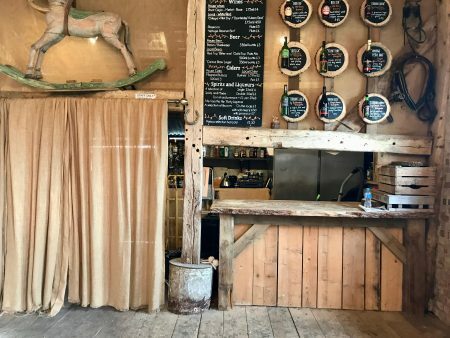 The Kent barn can be used as a crew room with its own mini kitchen and bar area. 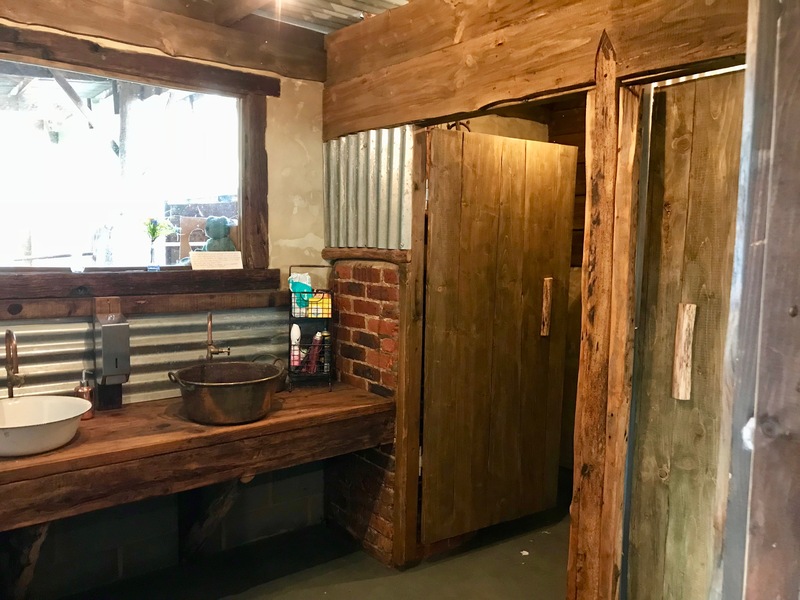 Loos and cloakroom are on site too. 30 minute train ride from St Pancras to Ashford, followed by 15 minute taxi ride to Horsenden Farm.